OJEE 2019 Admit Card will be released on 24th April 2019. Odisha Joint Entrance Examination (OJEE) is a state level entrance exam conducted by the state government. This exam conducts for admission to the 1st year ayurveda, homeopathy, MAM & 2nd year of engineering & technology. Through this exam, candidates will also get admission to the 1st year of master courses (MCA, M.Tech, MBA, M.Pharm, etc). This exam organized the entrance test to offer admission in various private and government engineering and medical institutions of Odisha. Candidates can get here OJEE 2019 Admit Card. OJEE 2019 Admit Card is releasing from 24th April 2019. Link will be given here. OJEE admit card 2019 can be downloaded from the website. Admit card can only be accessible from online mode. Admit card is a very important document to appear in the examination hall. The admit card will contain the candidate’s name, roll no., address details, exam details and some instructions for the day of the exam. Check carefully the details printed on the admit card are correct or not. A photograph identical to the one pasted on the confirmation slip must be kept with the candidate during the examination. 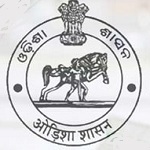 OJEE 2019 Cut-off will be released every year by the Odisha Joint Entrance Examination authority. The cut off will be published in the form of opening and closing ranks for various categories. OJEE 2019 admit card will be uploaded on the website from 24th April 2019. In case candidates will fail to download the admit card in a given time period, then they have to contact the OJEE 2019 office immediately before last date of downloading admit card. Candidates are not permitted to enter the hall without valid downloaded admit card. Downloaded admit card should be endorsed by the invigilator of the examination centre. OJEE 2020 is conducted for admission in lateral entry in engineering/technology/pharmacy/MCA and various other courses. It is state level examination administrated by the Odisha state government. The application process will be started from the first week of February 2020. Go to the official website link (link will be provided above). Click on the link”Download Admit Card-OJEE 2019”. Click on appropriate form from the drop-down. Login to your account by using your application number and password. Take the two printouts of the admit card and keep it safe till the day of exam and admission. Candidates are instructed to take two printouts of the OJEE admit card. One copy has to be submitted to the examination hall after signing by the invigilator and another must preserve by the candidate for future process. Candidates can also change the printed information on the admit card by contacting the officials before last date of downloading the admit card. Candidates have to bring the same photograph as pasted on a confirmation slip at the day of exam. Candidates also instructed to write their roll number in assigned admit card. The examination hall will be opened before half an hour of the starting of written examination. Candidates are advised to take their seats before 15 minutes of the commencement of the exam. No candidate will be allowed to enter the examination hall after starting of the examination. Candidates are not allowed to leave the exam centre before submitting their OMR sheet. The exam will be conducted in three sittings. Bring your own black/blue ball point pen to encircle the answers in the OMR sheet. Books, study materials, mobile phones, calculator and any other electronic devices are prohibited inside the examination hall. Angul, Balasore, Baripada, Bhawanipatna, Berhampur, Bhadrak, Bhubaneshwar, Bolangir, Cuttack, Dhenkanal, Jagatsinghpur, Jeypore, Jharsuguda, Kendrapara, Keonjhar, Phulbani, Puri, Rayagada, Rourkela, Sambalpur, Sarang. If you have any query about OJEE 2019 Admit Card, you can leave your comment in the comment box. I didnot download my admitcard of ojee2018 till now.How can I download. I can’t download my OJEE admit card for 2018.Sir pls kindly help to download it, my application no. is 3002048. SIR PLEASE HELP ME . Sir I am not emanating my admit card card. Sir i am nt downloading my admit card can i downlode now ……of nt facing my prblm. I cannot download my admit card… please help. Sir,I didn’t get my admit card of ojee2018 .please give me official content no. I can’t download my admit card till now.How can I download my admit card? Please help me sir. I can’t download my admit card till now,Pls suggest me about this issue. Contact to the exam authority. give me my admit card how can i download????? How to download my admit card now. Sir , i cant dowload my admit card till now . How can i download ???? I didn’t get my admit card of ojee2018. What to do sir to get my admit card before examination. Please help. Till now admit card is not downloaded it only show the technical problem what to do??? sir, i am unable to download admit cardr for ojee-2018.how can i download ?please reply and give contact number of authority. Sir,I a unable to download my admit card for the ojee integrated MBA Exam2018 though I have submitted the application form. Sir I am unable to download Ojee Mba admit card 2018. Download OJEE admit card from this link. plz tell me how to download my admit card. Respected sir I can’t download my admit card.Admit card has been released on 20th April. sir i can’t download my admit card, and this website show admit card are get in 20/04/2018 to 25/04/2018. what i do for my admit card. You should contact to the officials. Sir I didn’t download my admit card please tell me how to download…. Sir, i did not download my admit card within the proper time for lateral entry exam. kindly suggest me what to do for my admit card. Sir plz suggest me something. I was not able to download the admit card within the given time period. Please help me. Dear sir I can not download my admit card please tell me how to download. sir I can’t my download admit card.. I am unable to download my admit card.please help me the procedure. THE PAGE IS SHOWING SOME ERROR MESSAGES AFTER CLICKING ON THE “CLICK HERE” CAPTION TO DOWNLOAD MY ADMIT CARD. COULD YOU PLEASE ME OUT RESOLVING THIS PROBLEM? Sir today is the last day to download the admit card,bt still it’s nt available. Get ojee admit card from this link. Sir, I am not able to download my Admit card having application no- 2009906.Kindly advise. The contact number as provided is out of service. U can download the official app from play store to get ur centre details. WHERE IS THE LINK FOR DOWNLOAD ADMIT CARD ????? It’s already 20th April but I can’t download my admit card what is the problem please inform me. Respected sir till now I am not getting my admit card tell me what can I do..? Do try again. There might be some temporary issue. Respected till now I am not getting my admit card tell me what can I do ? Still admit card link is not available. can you please suggest on this. sir my pc do not showing the admidcard showing some scurity error what should i do? It will be corrected soon. You just try again. Still now the admit card link doesn’t available in the official site. How can I download admit card.. Please send my admit card to my father’s email ID. Time is not given by the authority. sir i can’t dwnld my admit card plzz tell the admit card published or not….? Respected sir I can’t download my admit card. Admit card link is not activated yet. It will be available from 20th April. Admit card will be released on 20th April.